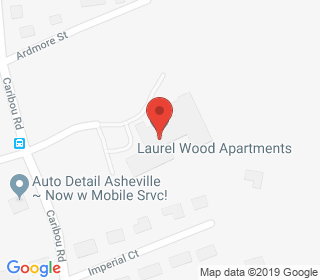 Laurel Wood is located on top of a hill looking directly at the Blue Ridge Mountains of North Carolina. This is an ideal site to watch for local wildlife, including bears! Each unit opens onto an internal hallway for security. This property is located on the bus line and is walking distance to Broad Street Market, banks, grocery store, a movie theater & restaurants.